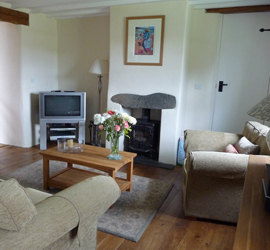 Tretio Cottages are owned and managed by Rob and Honey John. The cottages sit on the edge of of 220 acres of farmland, which has been worked by Rob’s family for over 50 years and is now predominantly rented to local farmers. Born on the farm, Rob now enjoys family life with Honey and there three daughters, Hattie, Bethan and Bronwen, who regularly reunite in their childhood home. Tretio cottages was born as result of a stormy Christmas Eve, when the roof of one of the the cowsheds blew off! 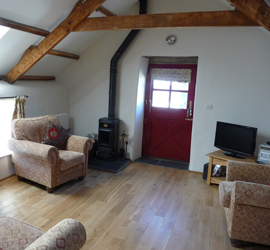 When plans were being made to repair it in 1999, the decision was made to convert the cowshed into a cottage. The Welsh name ‘Ty Gwartheg’, meaning cowshed, was given to the cottage as a reminder of it’s previous life! 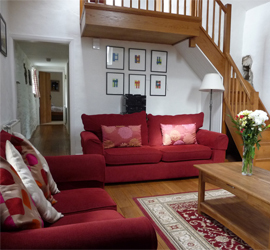 To accommodate smiling guests and increasing demand, Bwthyn Bach (little cottage) and Ysgubor (barn) were built in 2005, and finally Y Felin (the mill) in 2009. In addition to the cottages, Rob enjoys photographing the local area (something you must try your hand at when you are here) and his work with the National Trust and Cig Tir Comin (Common Land Beef) – A project which focused on the convservation of the wild environment, grazing cattle on the heathlands of St. Davids to convert the natural vegetation and grasses into premium quality beef. Honey enjoys coastal walking around St David’s peninsula, baking (a product guests are delighted to sample in their welcome pack) and tending to Tretio’s natural gardens. 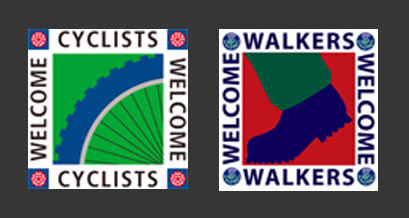 We are part of the Visit Wales cyclists and walkers welcome award scheme gives walkers and cyclists the confidence that they are booking quality accommodation that meets their particular needs.